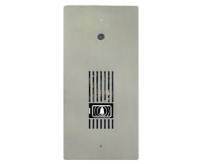 The DP2 Door Phone is a recessed (flush mount) stainless steel unit. • Flush mounting door phone • Vertical & Horizontal Surface Mounting Kits are available • High Quality 316 marine grade stainless steel fascia • 4 Wire connectivity • Premium audio clarity and volume • Capacitive 'touch switch' activation • Available with touch switch aligned for horizontal or vertical orientation While all NATCOMM door phones are designed to be weather resistant, if the door phone is going to be directly exposed to rain, it is recommended that you use a door phone cover for flush mounted door phones or use a surface mount kit which incorporates a rain hood. The DP3 Door Phone is a recessed (flush mount) stainless steel unit that has provision for a 'pin-hole' CCTV camera to be mounted to the panel. DP3 DOES NOT INCLUDE CAMERA. • Flush mounting door phone – industry standard size • Vertical & Horizontal Surface Mounting Kits are available • High Quality 316 marine grade stainless steel fascia • 4 Wire connectivity • Premium audio clarity and volume • Capacitive 'touch switch' activation • Available with touch switch aligned for horizontal or vertical orientation While all NATCOMM door phones are designed to be weather resistant, if the door phone is going to be directly exposed to rain, it is recommended that you use a door phone cover for flush mounted door phones or use a surface mount kit which incorporates a rain hood. The DP4 Door Phone with Integrated High Resolution Colour Camera is a recessed (flush mount) stainless steel unit that incorporates a 'pin-hole' CCTV camera. • Flush mounting door phone – industry standard size • Vertical & Horizontal Surface Mounting Kits are available • Incorporates a low light, high resolution CCD colour camera • High Quality 316 marine grade stainless steel fascia • 4 Wire connectivity • Premium audio clarity and volume • Capacitive 'touch switch' activation • Available with touch switch aligned for horizontal or vertical orientation While all NATCOMM door phones are designed to be weather resistant, if the door phone is going to be directly exposed to rain, it is recommended that you use a door phone cover for flush mounted door phones or use a surface mount kit which incorporates a rain hood. 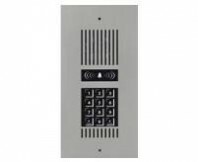 The DP5-SV Door Phone with Integrated Access Keypad is a recessed (flush mount) stainless steel unit that incorporates a 'stand-alone' access control keypad providing two individual relay contacts or can be programmed to trigger both contacts simultaneously. While all NATCOMM door phones are designed to be weather resistant, if the door phone is going to be directly exposed to rain, it is recommended that you use a door phone cover for flush mounted door phones or use a surface mount kit which incorporates a rain hood. 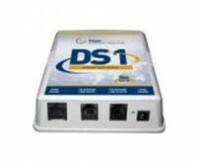 Door Station Controller with Automatic Dial Out facility. For connection to a Single Residential Telephone line or a PABX extension. Fitted with Dual Lock Strike Control. 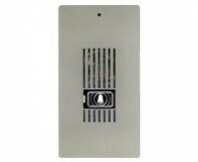 These Door Phone Interface Devices are designed to operate with your ordinary (residential type) PSTN telephone line or a PABX phone system as an analogue extension. There are dual Lock Control outputs from this version. The DS6 also has a 'Dial Out' function, whereby the user can redirect Door Phones calls to an external telephone number, including mobile numbers. Door Station Controller for use with ANY Natcomm Door Phone on a standard Residential Telephone Line. Dual Lock Strike Control. 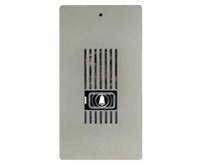 These Door Phone Interface Devices are designed to operate with your ordinary (residential type) PSTN telephone line. There are dual Lock Control outputs from this version. Door Station Controller for use with ANY Natcomm Door Phone on a standard Residential Telephone Line. Single Lock Strike Control. 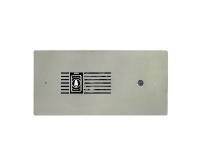 These Door Phone Interface Devices are designed to operate with your ordinary (residential type) PSTN telephone line. There is a single Lock Control output from this version. Door Station Controller for use with ANY Natcomm Door Phone on a standard Residential Telephone Line. No Lock Strike Control. These Door Phone Interface Devices are designed to operate with your ordinary (residential type) PSTN telephone line. There is no Lock Control output from this version.